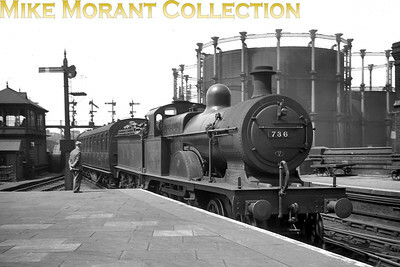 J. C. Park North London tank 58856. Two viewers have kindly written to me to point out that 58856 was one of the NLR tanks nominally allocated to Rowsley and was used on the C&HP throughout her BR lifetime. It's obvious from this photo that she must have had a general overhaul at some time before 1957 but where did that event occur as this shot shows that she's ex-paint shop? And the answer to that question comes from Vic Smith's diligent research: "58856's last heavy general repair before her withdrawl in 1957 was at Bow works from 7/5/1952 thru' 4/7/1952. Vic 's further research confirms my original surmise that the location is, indeed, Devons Road mpd." 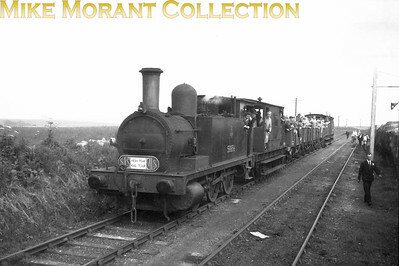 SLS/MLS: High Peak Tour 27/6/53 Ex-NLR 0-6-0T no. 58856 at Hopton Top coupled to a brake van, four open wagons and two more brake vans as noted on the sixbellsjunction web site. 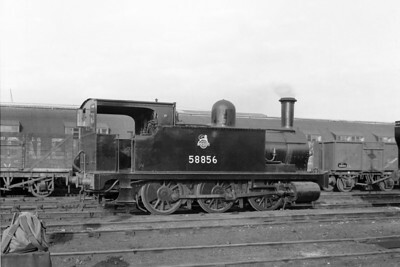 58856 was a permanent resident of Rowsley shed and was withdrawn from there in October 1957. It is our good fortune that no. 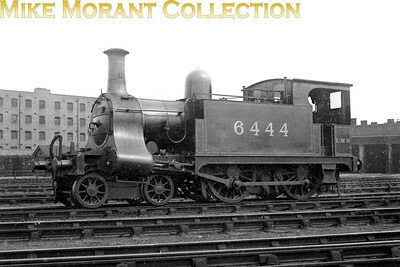 58850 of the same class has survived into the heritage era in the capable ownership of the Bluebell railway in Sussex. 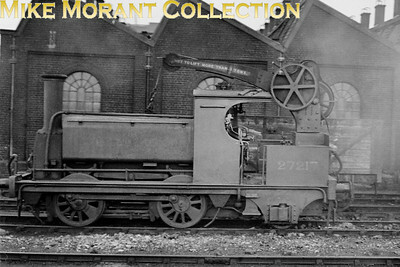 A less than brilliant shot of a crane tank, a type of loco which most steam enthusiasts find fascinating. 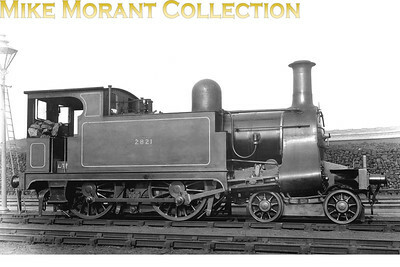 The background data I had to hand was open to correction but Chris McDermott has kindly filled in most of the blanks: No 27217 was built by Sharp Stewart in 1858 as an 0-4-0 for the North and South Western Junction Railway and was rebuilt as an 0-4-2CT at Bow Works in 1872 at which time she was numberless being named 'STEAM CRANE'. 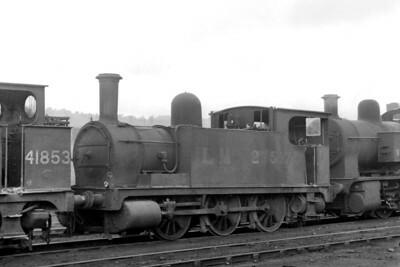 She was numbered 2896 by the LNWR in 1922, and subsequently renumbered 7217 by the LMSR in 1923. 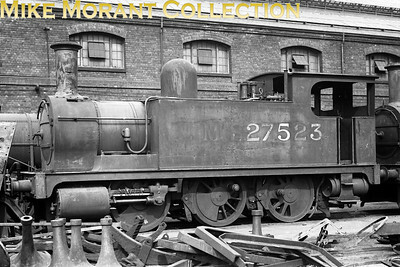 The '2' prefix was later applied by the LMSR which is how we see her depicted here at Devons Road shed on July 9th, 1939. 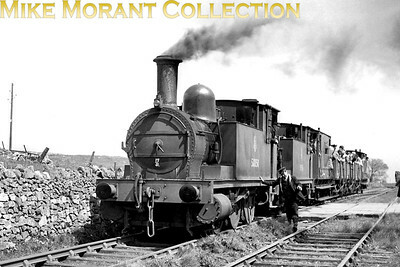 She remained in service until February 1951 and was allotted BR no. 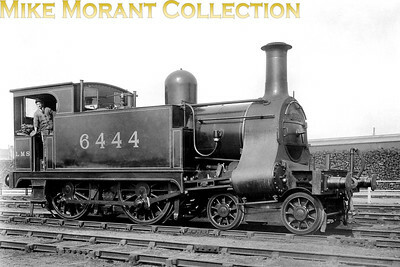 58865 which was applied in March 1949. 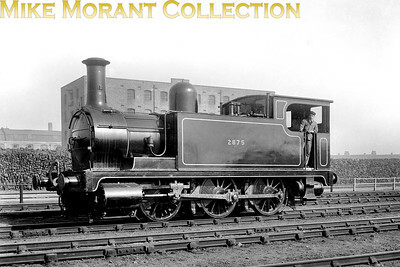 Former NLR 0-6-0T no 27517 was built at the company's Bow Works in 1900 and is depicted here far from home at Birkenhead mpd on 29/5/49. however, by then renumbered as BR 58857, it would return to Devons Road (Bow) and be withdrawn there in April 1958. 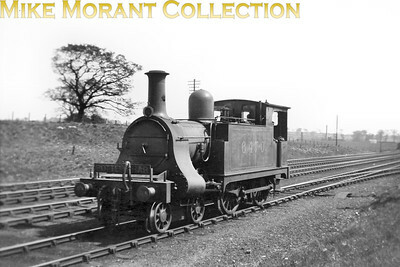 Former North London Railway 4-4-0T in LNWR guise as no. 2821 photographed at Devons Road shed on 5/4/24.